I have a list of words that I would like to see eradicated from our cultural lexicon. I don't ask for much--perhaps issuing hefty fines to people who use them until they learn not to would be a good place to start. Honestly, if everyone listened to me on issues like this the world would be a better place. "Bromance" - This is a word that is used to describe the affection that exists between two dudes who want to ensure that no one mistakes their relationship as something other than manly friendship---and so they use a word that combines "brother" and "romance," which honestly just makes the whole thing worse. "Foodie" - This word is used to describe someone who really, really, really likes food. People will use it in a pretentious sort of way, "Oh, I really don't care to eat at Chipotle--I'm kind of a foodie, you know." Oh, you like food? So does everyone. Find another word. "I know that I should have paid attention in English class, but irregardless I can still speak it good." "Totes" - This word is short for "totally." Because obviously it takes so long to say the word "totally" that you have to shorten it to "totes." "Winning" - This word is used by people who want to describe how they feel when they succeed at something that is morally reprehensible or absolutely without merit. This word is most often associated with Charlie Sheen, which automatically disqualifies it. "LOL" - This isn't actually a word--it's an abbreviation that is often used when people are texting, posting things on Twitter, on Facebook, etc. It stands for "Laugh Out Loud." Whenever someone uses this in a text to respond to something funny I have shared with them, I secretly want to ask them, "Did you really.... laugh out loud? Did that really happen--or did you just sit there in your chair at work without actually laughing, but you wanted to give the appearance of amusement." Like I said... if everyone just listened to me the world would be a better place. What this little exercise teaches us is that language and speech is powerful. Did you know that "LOL" actually made it into the Oxford English Dictionary because so many people use it? The abbreviation that had its birthplace in texting conversations that were trying to be brief has now become part of our language. So many people have come to recognize it as meaningful--that it basically has to be included in the dictionary. Words--even made up ones--contain a vast amount of power to create or destroy. Do you remember that old aphorism, "Sticks and stones may break my bones, but words can never hurt me."? Well, it's a crock. Words can hurt when they are used as weapons. They can also give life when they are used to heal. When you open your mouth you can create life or death. Choose life. As I said, language has the power to create meaning --both good and bad. And then we quickly begin to figure out that our full inclusion into our surrounding community depends on our mastery of language. There comes a time when our parents spelling out things like B-A-T-H or B-E-D so we don't freak out when we hear the words themselves doesn't work any longer. When we can speak, use our words, we begin feeling truly human. But then we also begin to learn about the destructive aspects of language. We learn about labeling. We learn that being called certain things are signs of our exclusion from groups, communities, church---even our families. We learn about the power that words play when people practice "othering" when it comes to those who are not like them--or who disagree with them. And all of this brings home the fact that language not only has the power to create meaning, it has the power to create life---or to take it. Like I said, When you open your mouth you can create life or death. In the ancient book of Genesis from the Hebrew scriptures--what we call the Old Testament--we find an interesting moment in the Creation stories where God's intent for language is revealed. God gives Adam, the "first human" the task of naming the animals. It's a verse that often gets overlooked, sadly. God giving humans the task of naming things is simply an extension of the creative impulse that is such a part of who God is at God's very essence. Humans were being invited to become co-creators with God and speech was the gift that enabled them to share in the creative process. As we read in the Creation stories, God "speaks" things into existence, but then takes a hands on approach to creating humans in God's own image. Speech is merely one more aspect of human beings that point to the divine DNA within us. But we only reflect God's nature when we use our speech to create, rather than to destroy. To use language for the purpose of showing honor, care, stewardship and love. 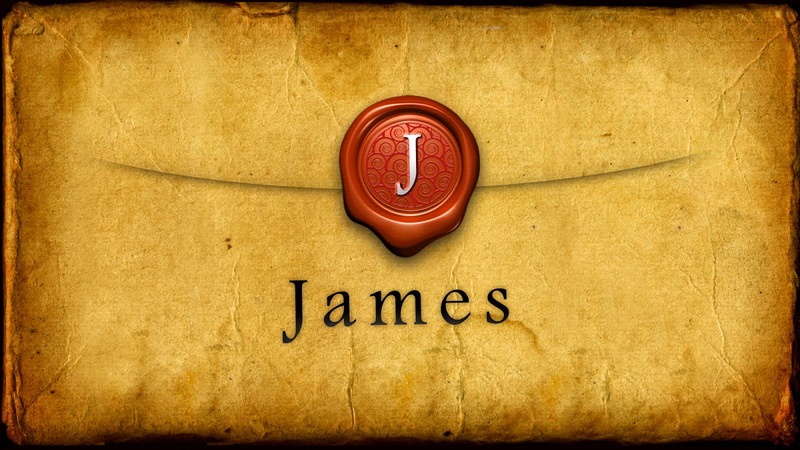 In the letter he wrote to the early Church, James, the brother of Jesus, addresses this very issue extensively. James chapter 3 verses 1-12 differs a bit from some of the other chapters in James' letter. It's not a bunch of aphorisms, or wisdom sayings that are strung together---it's a coherent argument that is clearly intended for instruction. 1 Not many of you should become teachers, my fellow believers, because you know that we who teach will be judged more strictly. 2 We all stumble in many ways. Anyone who is never at fault in what they say is perfect, able to keep their whole body in check.3 When we put bits into the mouths of horses to make them obey us, we can turn the whole animal. 4 Or take ships as an example. Although they are so large and are driven by strong winds, they are steered by a very small rudder wherever the pilot wants to go. 5 Likewise, the tongue is a small part of the body, but it makes great boasts. Consider what a great forest is set on fire by a small spark. 6 The tongue also is a fire, a world of evil among the parts of the body. It corrupts the whole body, sets the whole course of one’s life on fire, and is itself set on fire by hell. Let me give you a different--and more literal translation of verse 6. "The tongue is a fire--the tongue is a world of wrongdoing set among our body parts, staining the whole body. It sets aflame the cycle of human life and is set aflame by the Garbage Pit Gehenna." The word used for "tamed" here is the Greek word damazo which means to overpower. This word was most often found in antiquity on the tombstones of retired gladiators--warriors who could not be overcome in the arena, but were finally overcome by Death. Most of the images that James uses here are grounded in Greco-Roman thought--in the ancient arguments that were ongoing about the power of language, but with a twist. James posits this whole debate in the middle of a cosmic struggle. What James is saying here is simply, "When we speak praise--when we speak life---we are reflecting the image of God within us. When we speak cursing--when we speak death--we are denying it." In other words, killing speech is the antithesis of authentic religion. As we mentioned a couple of weeks ago, James is very concerned about his readers understanding that the reality of God's kingdom is more real, more vibrant, more lively than the colorless, gray reality of this world. When we live, love, speak and act with the same mind as God--we reflect God's image and we actually bring the kingdom of God--heaven--to earth. James probably was using a very Jewish mode of praying--the Shemoneh Esreh--to make a point. The Shemoneh Esreh was a way of praying that good Jews would practice every single day. Every aspect of the prayer began with "Blessed be Thee Oh God!" James is saying, how can you say such things--pray such prayers and then use killing words in the same breath. Connecting everything back to the Genesis account--James is essentially teaching us here: When you bless God and curse a human being created in God's image, your allegiance is betrayed and your true self is revealed. So how do we know what killing speech sounds like? It's when we insult one another---either face-to-face, online, or behind one another's backs. It's also when we take words that have other kinds of meanings and we use them in ways that aren't life-giving. All of these words can be twisted into something negative with the wrong inflection or context: "Liberal!" "Conservative!" "Immigrant!" "Homosexual!" "Feminist!" "Christian!" "Black!" "White!" Then there are the kinds of words that breed hatred. When we demonize people that we don't know, lumping them in to categories, stereotypes and turning them into "others" so we don't have to confront the real reasons why they make us uncomfortable. It's when we teach our children to hate people because of the color of their skin, their gender, their nationality, their politics or religion. Or when we use derogatory speech that wounds others who find themselves within whatever words we use. When we tear others down in order to build our selves up. When we make blanket statements about people, places and things without a thought to who might be listening. Maybe it's when our words trend toward the negative--when all we do is talk negatively about life, the universe and everything. We can't seem to say something nice, and instead of not saying anything at all, we say too much. Every single one of these instances of killing speech reveals a world where creation is distorted, creativity is suppressed and the word of Truth--of Jesus, the Way the TRUTH and the LIFE--is silenced. I can't help but think of the recent spate of suicides among young teens and pre-teens who give in to despair after being bullied at school and online. I can't erase the image I have in my mind's eye of the mother of a young thirteen year old girl who hung herself weeping as she was interviewed on TV. "We don't often think about how harmful our words are." She said. "Words can kill." In the end, we all have a choice--you have a choice. You can embrace the Creative & Saving Word of God or the Dehumanizing wisdom of the World. You can insult, hate, tear down and gossip with your words or you can praise, love, build up and encourage with them. Maybe, if you are like me, you need to break some bad habits. If you've lived for a very long time in the gray and colorless world where the word of Truth takes a back seat to words that kill---then you might need some steps to help you step into the vibrancy and life God wants for you. What are your reading, listening and watching habits? I know that I've had to change mine. I stopped watching cable news--refusing to get co-opted into a system where I am required to ingest hours and hours of anxiety, slanted points of view and negativity. I stopped listening to talk radio where so-called political pundits did nothing but spew forth gossip, innuendo, hate and anger and then try to tell me that it was just "entertainment." I stopped reading publications that printed half-truths disguised as news in order to stir readers into anxiety-driven responses. And then I changed my online habits, too. I stopped posting political posts on Facebook and Twitter. I stopped blogging angry, gossipy rants on my blog. I even stopped talking trash about sports (except for an occasional good-natured jab at the Gators) online because all it did was draw me into arguments, and did nothing to build up the kingdom of God. On the other side of getting rid of the negativity---I'm still learning how to be more proactive. To speak life-giving words, to shun gossip, to be positive and point to Christ with my Facebook posts and the like. It's a daily battle. Because as James said, the tongue is hard to tame. It's like a fire that scorches the earth, and then leaves you with a mess to try to clean up and an uphill battle to restore. But if we are going to be God's children, if we are going to be followers of Jesus--we have to tame our tongues--we have to control our speech. Because when you open you mouth, you can create life or death. Choose life. Choose life.